Soccer Republic, a new series focusing on all aspects of soccer, will begin on Monday 10 March at 11.05pm on RTÉ Two. The series will cover all the action from the SSE Airtricity League, as well as the latest Republic of Ireland and Champions League fare. Interviews with Ireland’s Premier League stars will also be a regular feature of the show. 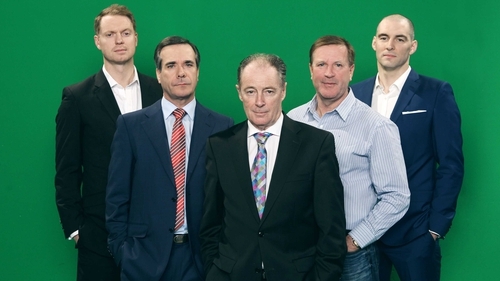 Presented by Peter Collins, the show will feature top pundits, special guests and goals every Monday night. Paul McGrath, Ray Houghton, Ronnie Whelan, Kenny Cunningham and Keith Gillespie will be among a host of special guests joining the regular panellists Richie Sadlier, Pat Fenlon, Brian Kerr and Tony McDonnell. The first show on Monday week will hear from both Martin O'Neill and Roy Keane ahead of Ireland’s friendly with Serbia on 5 March.